At Vintage Oaks, the beauty is only the beginning. Here, the amenities are every bit as spectacular as the scenery. The resort-style pool and Lazy River rival any four-star vacation spot, while the indoor and outdoor spaces of the Tuscan-style Clubhouse make any gathering a festive one. Take a walk through the community and drink in the incredible surroundings, relax alongside one of its many ponds and reflect on your good fortune, or enjoy a picnic beneath the enormous canopy of a 500-year-old oak tree.  However you choose to experience Vintage Oaks, you will be grateful for the opportunity. In the same way that the Texas Hill Country landscape inspires an atmosphere of warmth and camaraderie, Vintage Oaks creates an environment of sincere hospitality through its world-class amenities. Immerse yourself in the beauty of the Hill Country along miles of trails, or share family moments in the resort-style pool. Memories are made and afternoons enjoyed along the Lazy River, or cheering friends on at the soccer or baseball fields. Vintage Oaks offers so many ways for residents to enjoy this treasured spot and is a haven for fun and relaxation with family and friends.